Crystal Candy Makeup Blog - Review and Swatches: Giveaway : Win the Make Up For Ever Artist Pencil Collection! 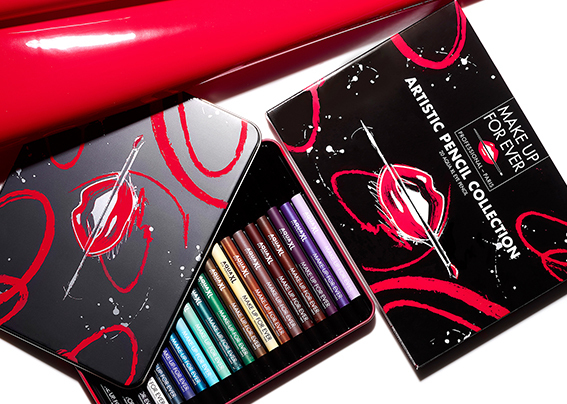 Giveaway : Win the Make Up For Ever Artist Pencil Collection! Haven't tried Make Up For Ever's new Aqua XL pencils yet? Well, now is your chance to win the entire range! Make Up For Ever gave me the opportunity to give away the Artist Pencil Collection ($500 CAD value!!) to two lucky winners! 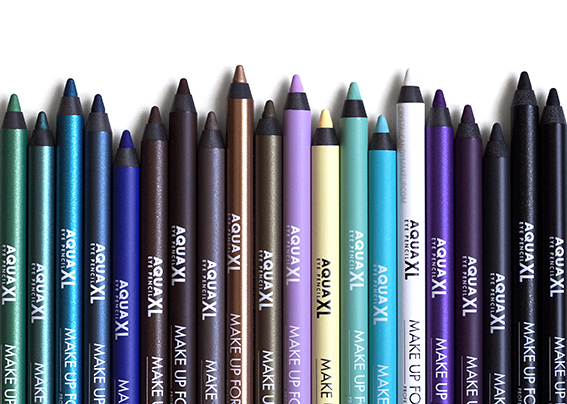 This collector metal box includes the entire 20 shades collection of Aqua XL eye pencils. I already reviewed them earlier this year so if you are curious to read the review and see the swatches, simply click here! The formula is incredible, the Aqua XL pencils don't smudge or flake off and they last all day on me. They are waterproof as well! This contest is open to Canada only and ends wednesday December 7th at midnight (Eastern time). The winners will be announced over the week and will have 48 hours to claim the prize. i haven't tried these pencils yet but i have heard great things about them ! So i absolutely would love trying them ! I haven't tried the MUFE Aqua pencils, but the reviews for them look promising! I haven't tried them yet but I love that they're smudge proof! OOOO No. :( I realllllly want to tho!! I haven't tried the Aqua XL pencils yet, but would love to! Great range of shades! I also like how they don't flake off...I just threw away an old Sephora brand liner that wasn't working at all. I've never tried them but I'd love to!! I have tried these pencil and love how soft and creamy they are. I'm glad you love them, good luck! I have not tried these liners yet, but there are so many great colors that I would love too! They are stunning, and I have heard amazing things about the formula. Haven't tried the XL pencils yet, but they look cool! No I have not yet tried them. I like eyeliners that don't smudge mainly because I don't like it when it gets transferred above my eyelid. I love these and already want a colour expansion! I have the aqua xl pencil in black and brown and I love them! So glad you love them!! Good luck! No i haven't but i've heard such great things! These colours are absolutely stunning! I have not tried these pencils yet, but it would be a make-up dream to experience the entire collection! Thx for sharing! Good luck everyone! I've never tried them before but I'm due for a change. I've been using the same brands of pencils for about 2 or 3 years now and they are just not doing it for me anymore! No, I have not tried them. They look amazing.